Then click on Design link on right top. On the Design page, You would see the layout options for product listing page and product detailed page. Click on the Change button. 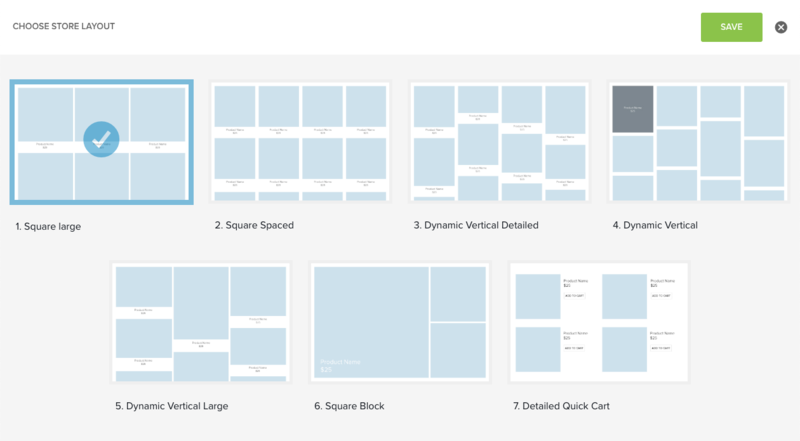 This would take you to the layouts page, from where you can choose the layout for your product listing page or product detailed page. Just click on the layout you want to use and then Save your choice. That’s it. Your chosen layout will be applied to your store’s product listing pages. Note: Product listing page layout will also applied on store category pages.